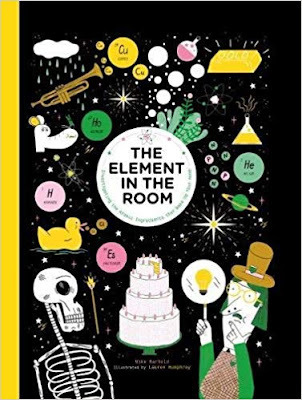 "The Element in the Room: Investigating the Atomic Ingredients that make up your home" by Mike Barfield and Lauren Humphrey (Laurence King Publishing). Not a dry text that just dishes up the facts like an academic reference book, but something fun that really helps children engage with the subjects of chemistry, materials and elements. So here's the brilliant "The Element in the Room" by Mike Barfield and Lauren Humphrey. 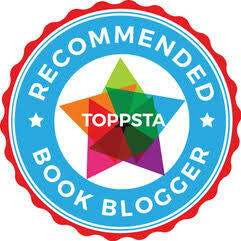 Fresh from his spell-casting antics, Mike has combined forces with Lauren to come up with a truly superb book that tells you all about the incredible atomic substances and structures that go to make up all the things you can see with your little eye as you look around your room. Not just that but all the things inside you that make your body what it is - yep we contain a whole truckload of different elements. Did you know you have Iron inside you? Sulphur? Oh yes, those and many, many more. A fabulous and engaging slice of science. "The Element in the Room" by Mike Barfield and Lauren Humphrey is out now, published by Laurence King Publishing (kindly supplied for review).